Here in Sydney, Australia, we’ve just gone through the strangest summer I can remember. Wet and cool; what a contrast to the year before…. I guess that explains why the changing of the seasons has crept up so gradually: but this morning I realise where we are. As I open the back door and stride outside, I suddenly notice it. The freshness of the air, deliciously cool; the gentle, unrelenting shower of yellow, gold, and orange leaves that waft down, carpeting the lawn. Automatically, I turn my eyes upwards, taking in the thousands of leaves yet to fall. The houseproud may detest them, yet what greater messenger of the arrival of fall is the humble deciduous tree? 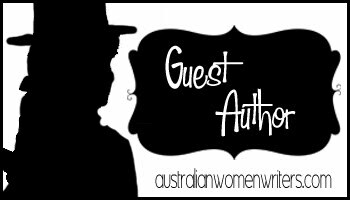 The Australian Women Writers Challenge 2012 is moving ahead, with several hundred reviews; many vibrant with enthusiasm! Booksellers are getting on board with easily recognized promotions. Surely the public awareness of us is being significantly heightened. Concurrent with the National Year of Reading 2012, let’s hope the Challenge reveals some great new talent! I front up again like the proverbial lamb, held together by one saving grace. This is it: the end of the line. By two-thirty: three at the latest: I’ll be free! I convince myself that today will be easier. After all, aren’t I getting to be an old hand at this? My third session in as many weeks; surely familiarity breeds something positive. It doesn’t take long to dispel this dream: five minutes in, I know this is one of those things that simply doesn’t get better. Oh, what a sigh of relief I’ll breathe at the end of it…..
“There are two more holes,” the dentist tells me matter-of-fact. It’s just as well I am sitting down. Oh well, such is life!